“It’s strange what desire will make foolish people do” Cyrene confronts her myth on a cover of the Chris Isaac classic Wicked Game. The fearless huntress with whom Apollo was so besotted that he built a city in her name was Ancient Greece’s most bewitching woman and a rare instance of a powerful, independent female in a world run by men. 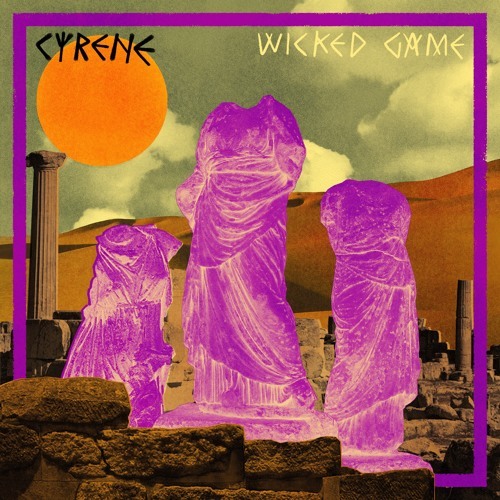 Countless artists have covered Wicked Game since the song’s release in 1990 – among them Tangerine Dream, R.E.M, London Grammar, James Vincent McMorrow and a Swedish metal band. Cyrene’s sensual reworking reclaims the feminist essence of the original and continues her quest bring her influence and spirit in to the present day.